Star Wars Battlefront II’s new update overhauls the game’s loot box laden progression system. 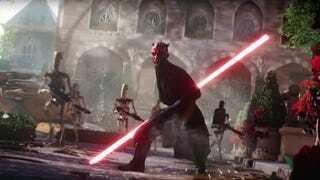 One of players’ biggest complaints since before the game was even officially out was how hard it was to unlock iconic characters like Luke Skywalker or Darth Vader. A new patch finally unlocks every hero character in the game. Prior to the game’s release, an unassuming gamer named Conner Rust calculated how long it would take to unlock certain characters in Battlefront II and concluded that to unlock a hero such a original trilogy protagonist Luke Skywalker would take nearly 40 hours of gameplay. He posted his findings to Reddit and they went viral. An EA rep’s comment in defense of the process became the most downvoted Reddit comment of all time and the company later cut the cost for unlocking heroes significantly. It was one issue in a sea of problems that included notorious loot boxes that granted players statistical advantages and could be purchased for real-world money. As part of a major overhaul to the game’s progression system, Battlefront II will now give all players immediate access to every hero. Players logging into the game today will first have to download a small patch before having access to every hero and their ships. The patch adds Cloud City of Bespin to the game as a map for Blast Mode, Heroes v. Villains, and Arcade Mode. It also unlocks every ability-granting Star Card in the single player Arcade Mode to allow players a chance to experiment with character loadouts. This change comes as EA also prepares to remove Star Cards from loot crates and limits microtransactions to cosmetics and is one more step towards earning the goodwill of players burned by the game’s earlier, greedier mistakes.